I headed on over to the Essence Cosmetics stand and picked up two eyeshadows, a crystal eyeliner and glitter falsies which I require for an occasion coming up real soon. And on paying for these goodies, the lovely sales assistant handed me the Lashes Go Wild mascara as a promotional gift (YAY ME!!). 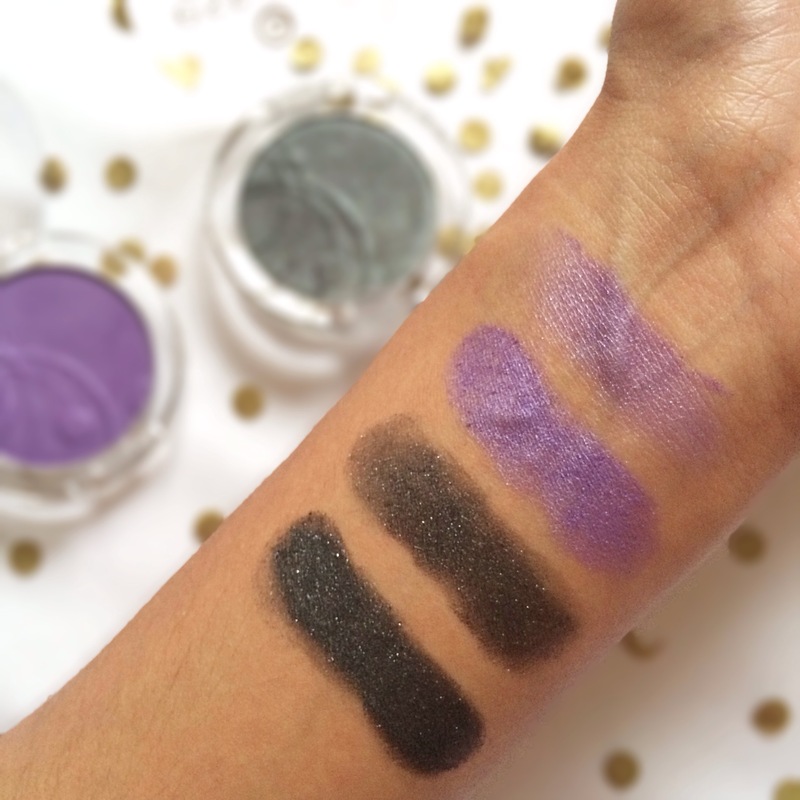 When swatching both of the above shades, I really loved the smooth and velvety texture of the shadows as well as the easiness of applying it. 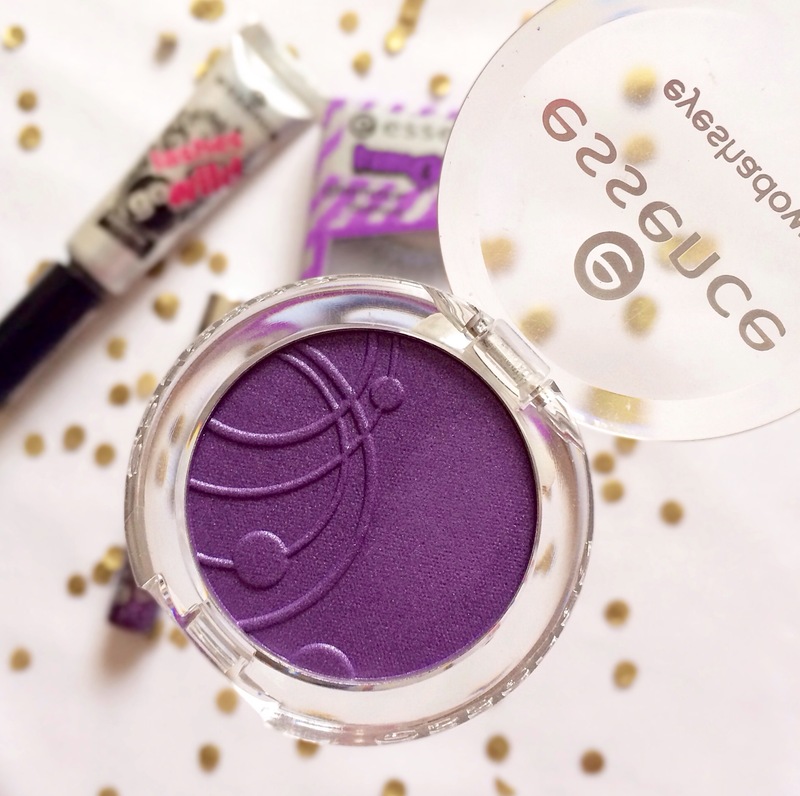 However, the colour was hardly noticeable, especially on the purple shadow swatch. I felt like I was swatching shadows from one of those cheap Chinese toy makeup palettes – it was just disappointing. Anyway, I decided to make the most of these shadows so I added an eyeshadow base – and BAM! Instant colour payoff. It was like 2 whole new eyeshadows. The pigment was much deeper and darker and the shadow stayed put for a really long time – no rubbing off or fading away. In the swatches below, you can see the difference – from left to right, swatches 1 and 3 are with an eyeshadow base and swatches 2 and 4 are without. As you can see, both shadows are quite shimmery and therefore would be best suited for a night out or a really special occasion. Both retail for about R25 – R30 a pop, depending on where you purchase from! 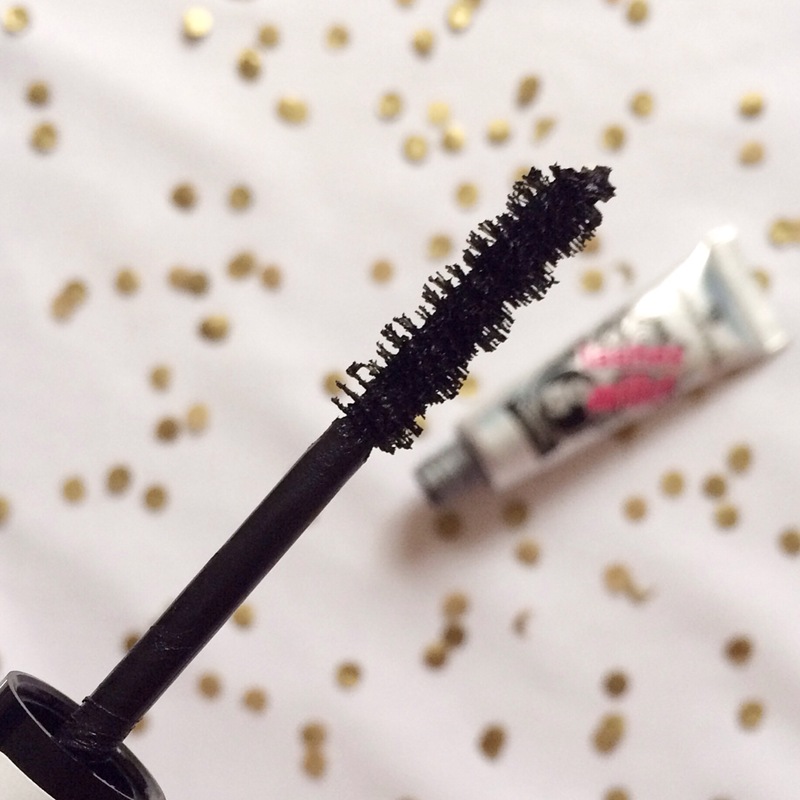 I’m a mascara-girl all the way! I love how it enhances and darkens my lashes and how it opens up my eyes too. 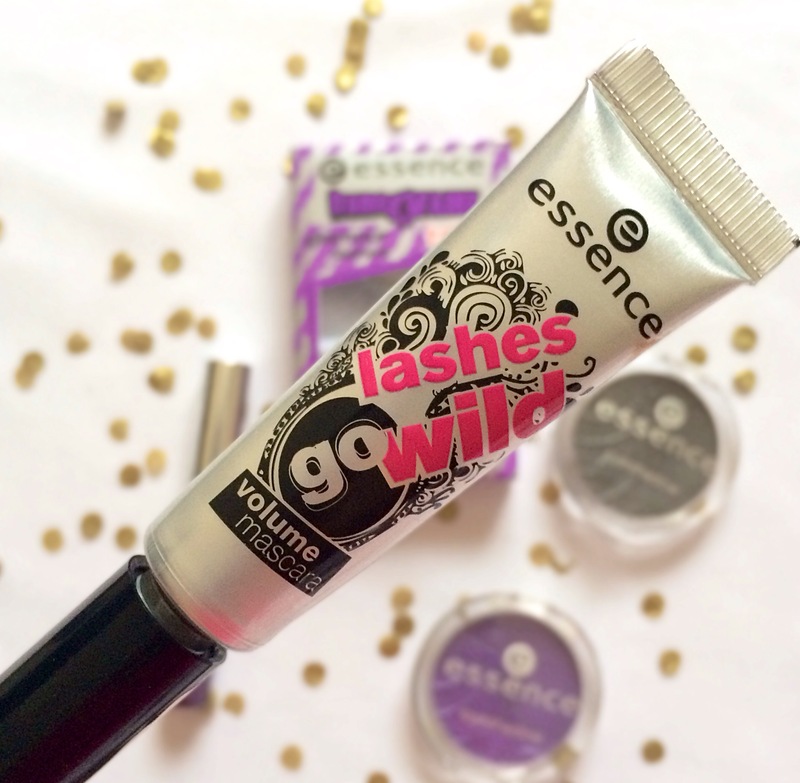 The Lashes Go Wild Mascara is a volume mascara with a frikken’ fab packaging concept. This mascara is packaged in one of those malleable metal/tin packaging – you know the same packaging that Crabtree & Evelyn, The Body Shop and Woolworths’ hand creams are packaged in? Anyway, this makes it so much easier to get every bit of product out of the tube. 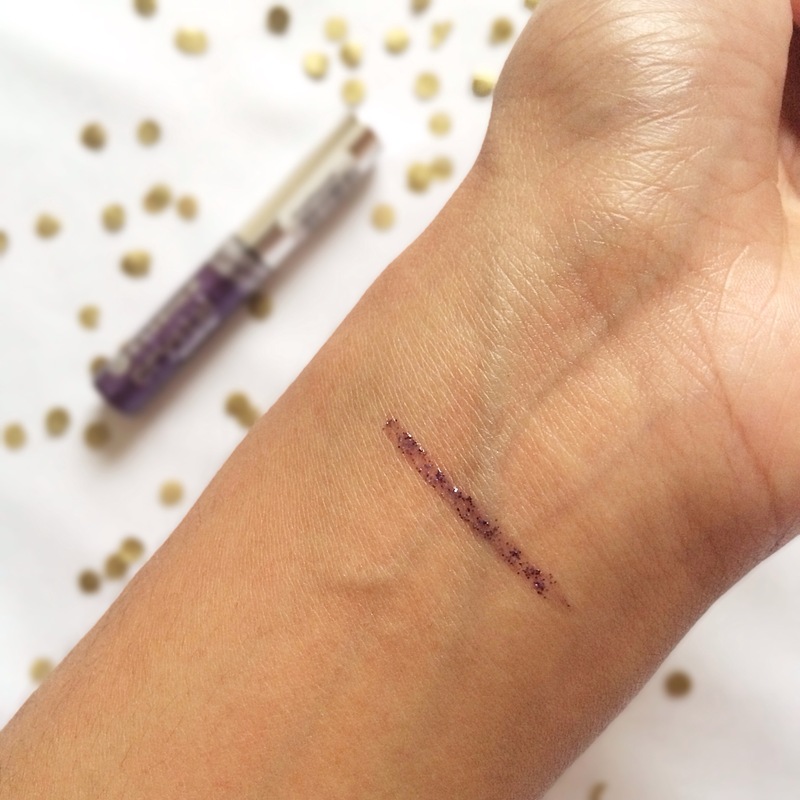 With conventional mascara packaging, a lot of the product gets wasted as you aren’t able to push it out/reach the bottom of the tube with the wand to extract the product. I know I focus too much on the packaging of items, but siiigh, it really does matter to me! But on to the actual product.. This particular mascara, is a volume mascara and is basically aimed at thickening the lashes to make them appear fuller. The shape of the brush and it’s bristles makes it really easy to apply and helps to ensure that each and every lash is coated. After applying two coats, my lashes did look much fuller and thicker, however the formula of this mascara isn’t what I’m normally used to. In the past, I’ve used mascara from Smashbox, Elizabeth Arden, Stila, Revlon and Gosh and the Smashbox Full Exposure Mascara is still my all-time favorite due to it’s silky feel (before and after drying) and it’s effortless application. Even though, the LGW Mascara will achieve in volumizing your lashes, it tends to leave your lashes feeling slightly crunchy and hard and is a real botheration (in comparison to the other mascaras I’ve tried) to get off your lashes – imagine coming home in the dead of the night, wanting to jump into bed but first you’ve get to spend a good few minutes trying to remove it from your lashes? Yeah, not fun. I know of a lot of people who love this mascara and swear by it – however, I don’t think it’s for me. In my opinion, this is one of those ‘you get what you paid for’ products from Essence. I think I’ll stick to my tried and trusted mascaras for now but if you’re still interested in purchasing it, it retails for just under R50. Glittttter! I love glitter! It makes me so happy that I wish I could cover everything in glitter and so you can imagine my excitement when I purchased this goodie! 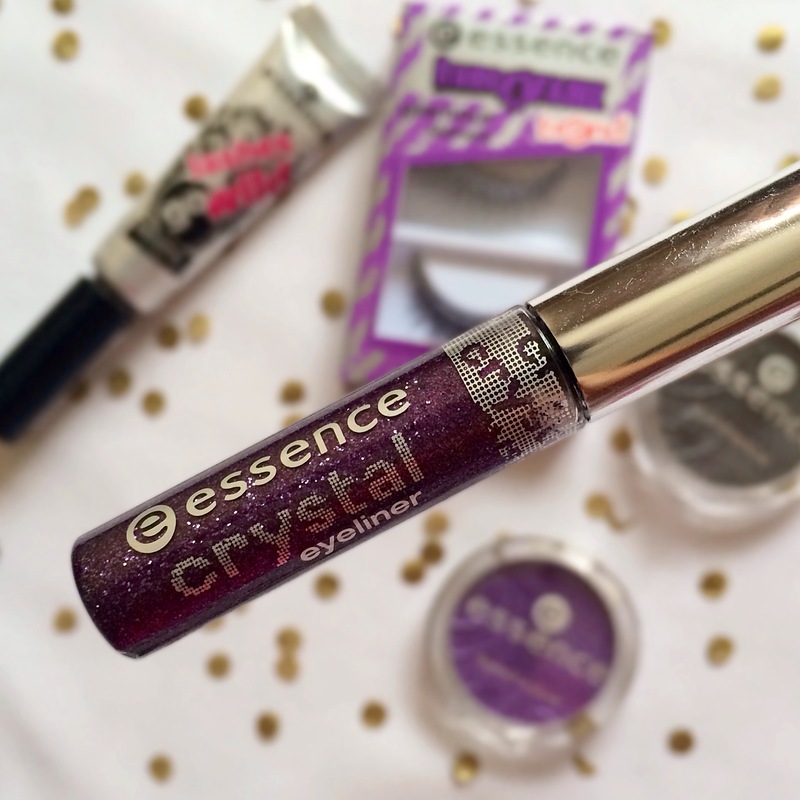 A while ago, I purchased the gold crystal eyeliner from Essence and reviewed it here, however the purple was never, ever available so I was quite chuffed when I finally found it – purple is my favorite colour, after all! 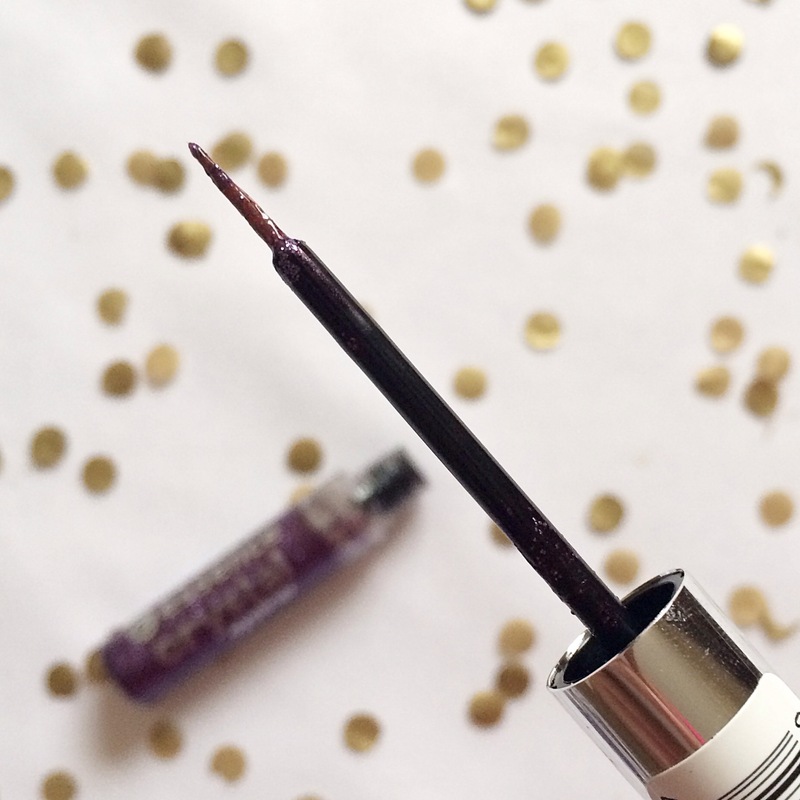 This crystal eyeliner is a real multi-tasker – it can be used on its own as an eyeliner or all-over glitter shadow or layer it over a black eyeliner (my go-to look) or over another opaque shadow. It really is your choice, I mean, you can even apply it over those metallic tattoos or a henna pattern. The gel/glue is safe for your eyes and it dries clear so you’ll only see the glitter and nothing else! BTW, the swatch doesn’t do this eyeliner justice – it looks sooo much more amazing on your eyes, pinky promise! At it’s price point of R12,95 or R35,95 (depending if the store you purchase it from has it on sale or not) it’s really worth it. The staying power is absolutely ridiculous, it doesn’t fade away and the glitter doesn’t fall off either. You can use it to a party, wedding or even to a day function by simply altering the amount that you use – it’s one of those products that can really transform your look. I’m not really a fan of falsies probably because it can sometimes be a schlep to put on and also you can’t pray with it so meh. 2. It was on sale for R12,95. The lashes are fairly easy to apply (besides the glue issue which I discuss further below) provided that you trim it to fit your lashline before applying. The length of the outer lashes are very, very long – I know it’s ‘Glamour lashes’ so it’s meant to be exaggerated but it’s borderline costume-y for me – so I suggest trimming the outer lashes too. 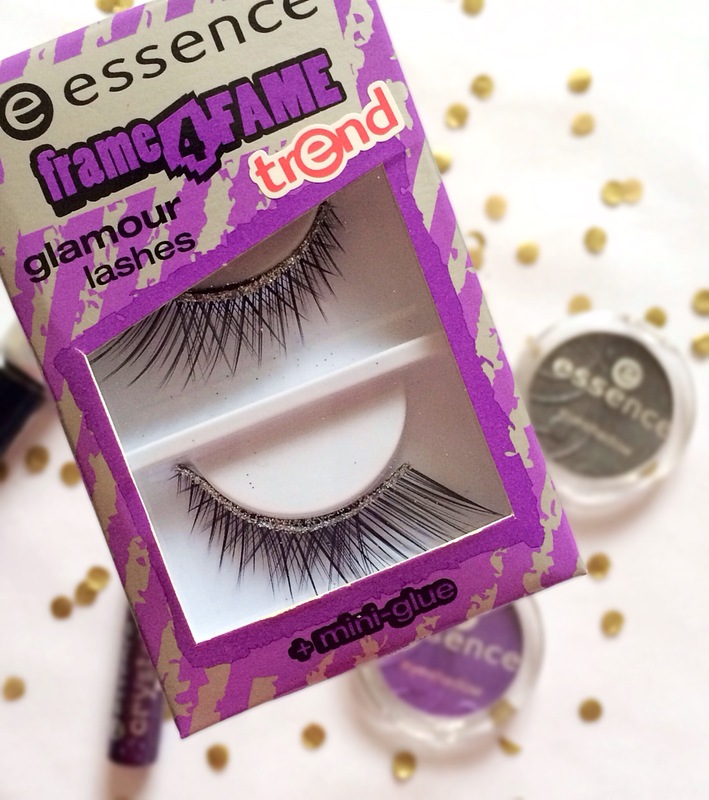 The lashes are accompanied by a little tube of glue to apply these lashes – the glue is rather annoying. 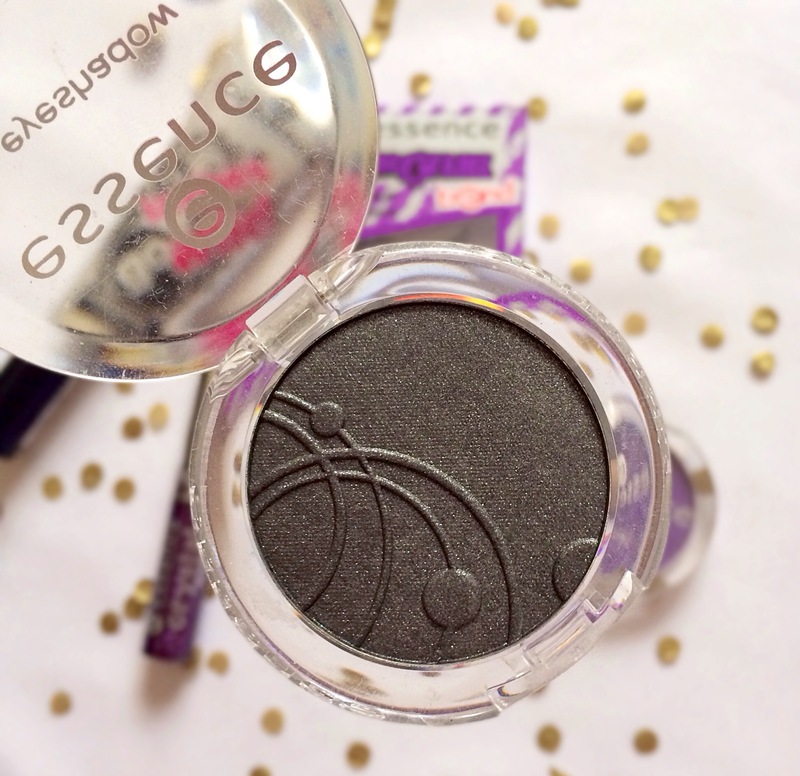 Even though it goes on to the lash really well and it’s easily washed off from your lids, it doesn’t dry quick enough. Basically, you apply the already gluey lashes on to your lids, position appropriately and then leave your lids closed for about 30seconds to ensure that the lashes are secure and the glue has dried – but no, this doesn’t happen. The glue doesn’t dry after 30seconds and it’s so frustrating that when you open your eyes that the lashes move out of place and spreads glue all over your already eyeshadowed/eyelinered lids. Also,the glitter from the lashes fall off quite easily, so by the time I’m done with the first use, I’m pretty sure all the glitter would have been removed – but that’s cool, ços I only paid R12,95! I’m pretty sure these are made from synthetic fibres due to the price and texture of these lashes and also because wearing anything made from real (and somebody else’s) hair is really disgusting and also forbidden in Islam, so yeah. 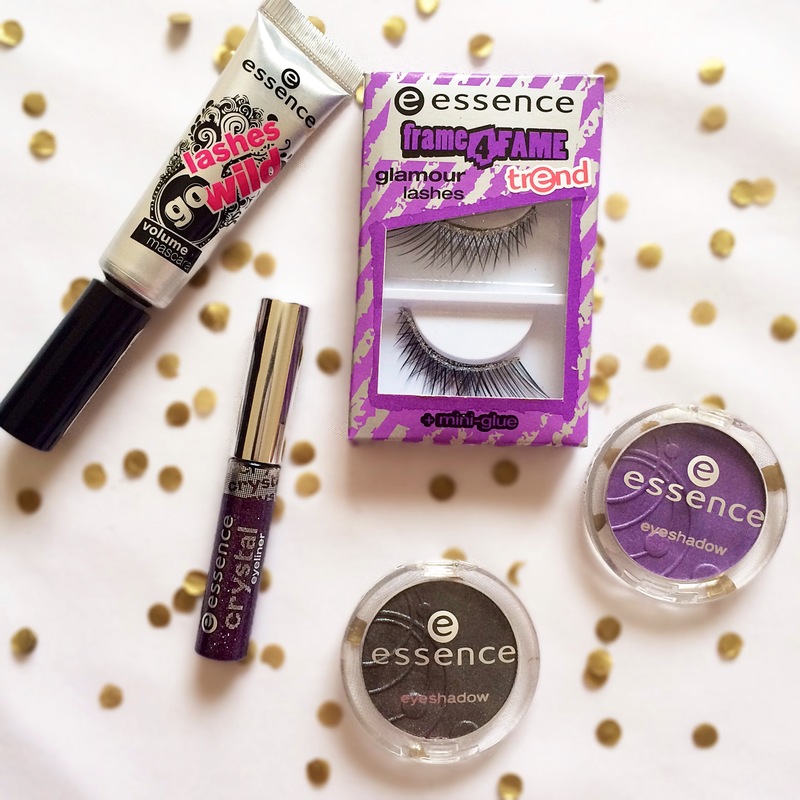 So that’s all of the goodies that I purchased from Essence lately – definitely loving most of them and I cant wait to create a ton of looks using these guys!